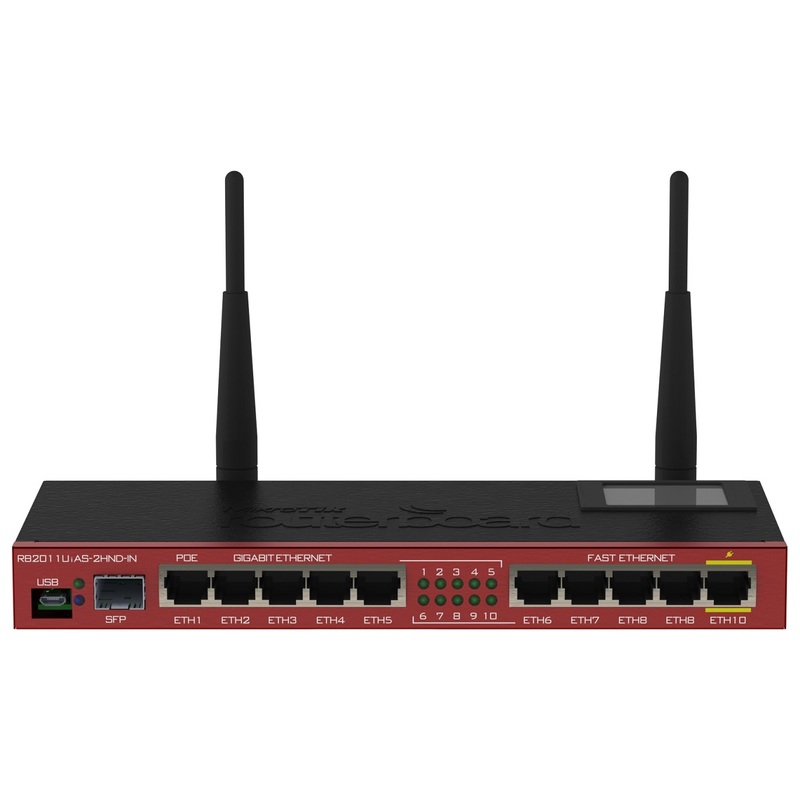 RouterBOARD 2011UiAS-2HnD has the most features and interfaces of all MikroTik's wireless routers. It’s powered by the new Atheros 600MHz 74K MIPS network processor, has 128MB RAM, five Gigabit LAN ports, five Fast Ethernet LAN ports and SFP cage (SFP module not included!). 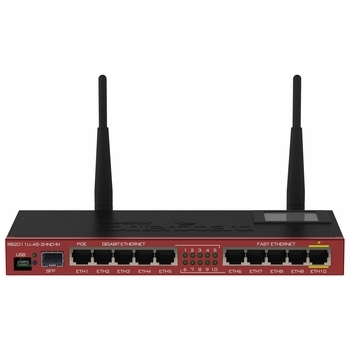 Also, it features a powerful 1000mW dual chain 2.4GHz 802.11bgn wireless AP, RJ45 serial port, microUSB port and RouterOS L5 license, as well as desktop case with power supply, two 4dBi Omni antennas and LCD panel. RouterBOARD 2011UiAS-2HnD-IN comes with desktop enclosure, LCD panel and power supply. Wall mount kit (product code RBWMK) for network closet is available for purchase as an optional accessory.